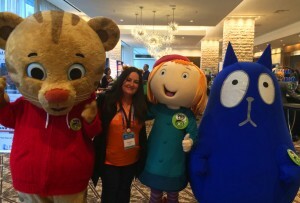 The Beverly Hills Mom » Love posing with these celebrities-Daniel Tiger and Peg (plus Cat) – when I return home, it’s a photo like this that makes my 8-year old think I’m cool. This entry was posted on Monday, June 29th, 2015 at 11:05 pm and is filed under . You can follow any responses to this entry through the RSS 2.0 feed. You can leave a response, or trackback from your own site. Love posing with these celebrities-Daniel Tiger and Peg (plus Cat) – when I return home, it’s a photo like this that makes my 8-year old think I’m cool.